This page contains affiliate links. What this means is that at no cost to you, you can help support our mission by clicking the links below and shopping like you normally would. In exchange, we may receive a small commission of any purchase you make via that link on the merchant website. This is completely free! We only recommend and list brands or products that we believe in. Just about everyone on planet earth has heard of and/or used Amazon. Because we live a mobile lifestyle, this is one of the easiest and most cost-effective ways for us to get groceries, housewares, and books delivered either straight to our Kindle apps on our phones or to the doorstep of our RV. Do your shopping by clicking this link and help support the blog (at no cost to you). We get a small commission for referring you to Amazon and all funds go towards maintenance of the site. I wouldn’t be where I am today without listening to Rich Roll’s podcast for free on ITunes. He’s never missed an upload in the 5 years that I’ve been listening, gave me a reason to look forward to Monday mornings, and inspired me with not just his own story but the countless interviews that have literally brought me to tears with grit, passion, and expertise. I’ve learned that the world is a little happier and brighter than I thought because of this show, and I tell literally everyone to listen and learn from his guests. You won’t regret subscribing now. When my friends asked how I knew about plane ticket sales dropping to Hawaii months in advance, or that Flight Aware would tell me hours before everyone else that my flight was delayed/cancelled, I told them to listen to this podcast! I love to travel, and not only are these people professional travelers, but they are obsessed with sharing their knowledge for free. They routinely upload episodes that plan your entire trip to “name that city”, with everything from the best hotels, to the restaurants that are about to open (but haven’t hit the mainstream yet). Tune in every Friday! We decided to live in an Airstream full-time in April 2017, and have thoroughly enjoyed meeting people from this amazing community. I stumbled upon Heath’s Podcast when he interviewed several of the accounts I follow on Instagram, and instantly got hooked! They have such great resources and share everything from how to publish a book on Amazon to funny and slightly sad stories of business and life on the road. If you’re even a little bit curious about living in an RV, this is the podcast for you! I have had Headspace on my phone long before I ever started this blog, and I tell all of my friends to use it! It is a guided meditation app that has different packs for different purposes: anxiety, relationships, goals, and so much more. I am so passionate about the benefits of meditation and can’t recommend this enough! Tap the badge below and listen to the amazing story of the founder Andy Puddicomb’s journey on the Rich Roll Podcast. We got the chance to meet the founder of this app at the RV Entrepreneur Summit in February 2017 and he and his wife travel full time in an RV! They’re amazing people, and worked so hard to make this idea a reality. Track your screen time and allow yourself some freedom from mindlessly scrolling through social media. You might be more addicted to your phone than you think! Tap the badge below to hear Kevin and Mandy’s story on the RV Entrepreneur Podcast. I started listening to the Rich Roll Podcast years ago when I was in anesthesia school, and as a loyal fan I never missed (and still don’t) an episode. It came as no surprise that he picked an amazing person to interview from Finland who was spouting the benefits of drinking and eating mushrooms as part of a healthy plant based lifestyle. You can listen to that episode here. I had sworn off drinking coffee every day because I just hated the way it made me feel— jittery, “dry”, and crashing an hour later. But the mushroom instant coffee proved to be a mush smoother, less acidic mixture that was easy on my stomach and nerves. Plus, it was amazing to take on our hiking trips! 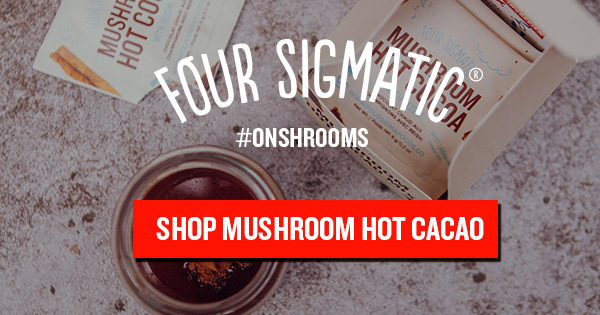 They have a super popular hot chocolate elixer, matcha tea powder, and many more adaptogen mixtures that we dutifully order every single month. Give them a try! Tap the badge below to hear the founder Tero Isokauppila’s amazing story. If you’ve been too scared to try it or are looking for a budget-friendly way to travel, Shane and I can’t say enough great things about using Airbnb. We don’t see ourselves ever staying in a hotel again (if we can help it) simply because this service has made our experiences so rich and memorable. From Iceland to Spain, Norway to Calgary, and Mexico City to Detroit, we’ve used Airbnb in multiple cities and countries across Europe and North America (with plans to expand!). Tap the button to use our referral code and get $40 towards your first stay. This brand is an e-commerce platform built around lux vegan products and the founders are from Austin, TX!! Here’s a snapshot of their mission: We’re on a mission to discover and elevate the best ethical beauty and fashion sourced from around the globe. Curated to perfection, or as we call it, “The Crème de la Cruelty-Free,” every product and piece has been edited for efficacy, aesthetic, and ethics. No longer do you have to decide between the look you desire and the values you wish to support. 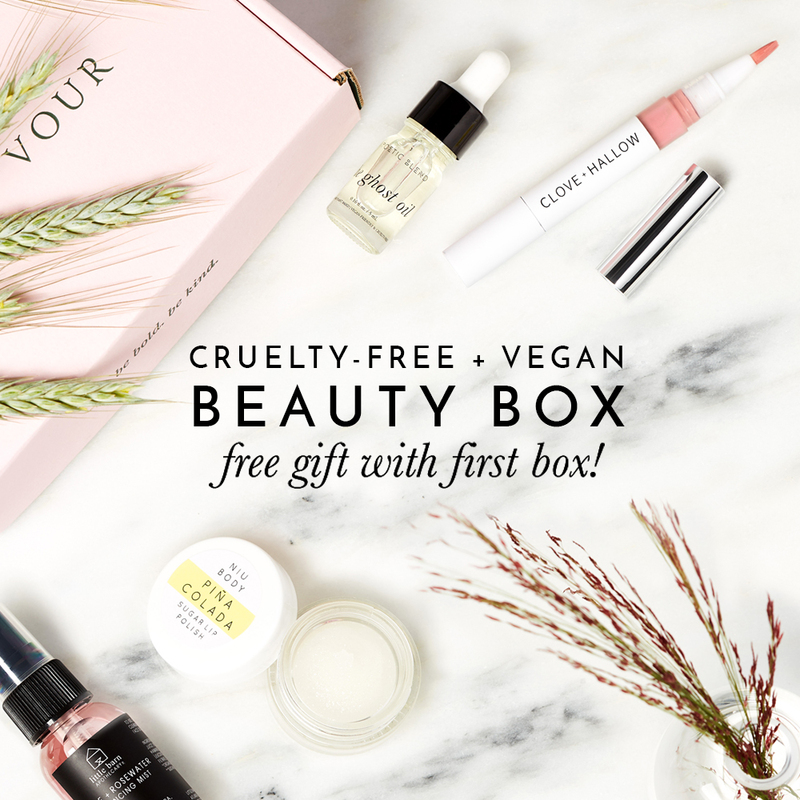 At Petit Vour, you can have it all, and authentically so.” Try out their award-winning beauty box today! I first encountered this online ethical boutique after scrolling through Instagram years ago. They are a female-owned company based in Los Angeles and their message just sounded amazing: a “one-stop shop” for women’s ethical shopping. Their clothes, jewelry, and accessories are super simple, ethical, and elegant. Every item is vegan and part of the proceeds go towards multiple non-profit and fair-trade organizations. Female-founded and officially America’s first 100% vegan handbag company, Gunas is based in NYC churning out luxury vegan handbags like it’s nobody’s business. Every bag is handmade. I stumbled upon Innkas on Instagram (big surprise) and was super intrigued by their company’s mission. They partner with Trees for the Future to plant a tree for every shoe purchase, and carry an impressive line of unique printed Flexaire shoes that are completely vegan! I wore these to work at the hospital and their bright colors attracted a lot of attention. So many people have asked me about them that I had to list them as a favorite brand on the site! In line with love of ethical products, this company is extremely transparent about their production process. Click the image above to shop or the button below! Make sure to type “vegan” in the search bar to see their full range of vegan offerings. Y’all. These shoes are super light, vegan, and 100% waterproof. Not a coating, the fabric itself! Don’t believe it? Just Youtube it! Crazy and gorgeous, with neutral colors to match a minimalist wardrobe that will last throughout the fads and trends. Made ethically in Canada. Tap the link and shop today! Teeki is an eco-conscious activewear line with some of the softest, most beautiful and versatile garments we've ever worn. And they’re made from recycled plastic! You can do yoga, run, swim, and run errands in every article of clothing. All of their fabric is made from recycled plastic water bottles. Everything is manufactured in the United States using environmentally friendly practices. Read more about their amazing mission using our affiliate links (photo/button) above. Manduka Yogi Toes towels are so amazing for hot yoga, and the line of yoga mats are super luxurious are fantastic as well. I recently started attending hot yoga classes at Island Salt Air in Galveston, TX and quickly realized that I needed a non-slip towel in order to prevent myself from face-planting into the floor. Click the photo above or use the affiliate link below to shop the entire selection. Our love for Yuhme water bottles is unprecedented. Not only are they seriously unique and gorgeous, with every purchase Yuhme gives clean water to needy families via a charity called Water For Good. They are the world’s most eco-friendly water bottle and actually have a NEGATIVE carbon footprint because of how their factory runs. Entirely plant based, the bottles themselves are made from recycled sugar cane. The founders are an amazing husband/wife team. 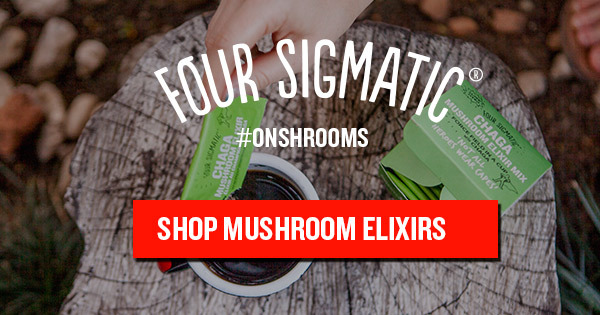 To shop their bottles and learn about their mission, click the button above to place an order. Another female-owned company started by two friends in the fashion industry who were tired of sad, non-hydrating water habits. These bottle are clearly for the fashion forward and have garnered a cult following with celebrities and beauty lovers alike. I love how gorgeous they are, and they even have plant-based lip balms that fit right into the cap of the bottle! I always lose my lip balm so this is essentially perfect for me ;) Definitely a classy investment. In 2014, two friends found themselves looking up at an elephant and something clicked. They understood why elephants had been revered for thousands of years and why so many people traveled far and wide to see them. Determined to put an end to the exploitation of elephants around the world, the pair hatched a plan to help save them: Pants, but not just any pants… The most comfortable pants that anybody had ever worn. The two founders have now donated over $127,000 to elephant relief. Sand Cloud Towels are Turkish towels, which are a MUST when living in an RV, where humidity builds up quickly and causes thick towels to hold unnecessary moisture. What we really love about this company is that they donate 10% of their profits to marine life charity organizations. For us, it was a no brainer to support them. Their towels are beautiful! By clicking on the link above their site tracks our contribution of traffic, and you get a 25% off discount using this code: PaigeBom25. click the image affiliate link to go straight to the site! Convertkit is an amazing resource for all online creators. As a blogger, I’ve appreciated how easy it is to get in touch with my readers and customers! The software is a reasonable price, and so many of my colleagues who are killing it in the blogging space use it to scale as their audience grows. If you’re curious about publishing your own book on amazon, how to create a sales funnel, email marketing, and connecting with business coaches, this platform is perfect for you. As an artist, I remember buying my first Creative Cloud Suite on the student membership program in 2007. It was such an expensive purchase ($500 and up), and needed to be updated bi-annually to keep up. My art teacher showed us this amazing new software that would allow you to draw on a computer (gasp!) and edit photos to make them more enhanced and beautiful. Fast-forward to today, and digital art is the way of the future. This suite literally gives you everything you would ever need to begin with the basics of modern day graphic design. I’ve used Photoshop for years, and now that Lightroom has integrated presets onto its mobile platform, it has been a game changer. Now, I simply pay $9.99/month, and all of the apps are automatically updated via the cloud system. Printful helps me run this site. As a small business owner, I can’t afford to stock hundreds of garments at a time. It’s wasteful, and has a huge up front cost. Using Printful, I’ve been able to select items that are printed in the United States, and source the company that produces my apparel from Bella + Canvas. The quality of printing is superb, and the customer service is wonderful. If you’ve ever wanted to try out a design on tees, tanks, pillows, towels, mugs, and more… you should definitely check out Printful and order a few samples! They handle everything from fulfillment to shipping and make running my business a breeze! I bought a certified pre-owned Tesla Model S in August of 2018. While the budding company has had its setbacks, I haven’t ever been happier driving a vehicle. The waiting, the anticipation, and questionable communication were all honestly worth it once I sat in the driver’s seat. Use my code and get a $100 supercharging credit on a Tesla purchase.